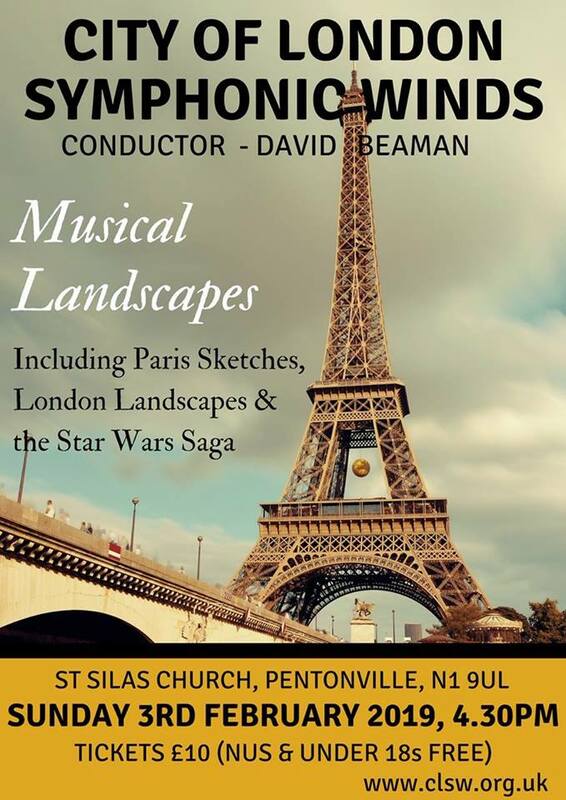 CLSW will perform an enjoyable programme of modern wind orchestra repertoire and well known classics, under the baton of guest conductor David Beaman, including London Landscapes (Alan Bullard), Paris Sketches (Martin Ellerby), and the Star Wars Saga. The programme will also include Schindler's List (featuring solo violin), Bernstein's Candide Overture, and pieces by Kabalevsky and John Barnes Chance. We warmly welcome families and children to the concert, and refreshments including cake will be available in the interval.